This is a fun and easy way to shake things up a little. 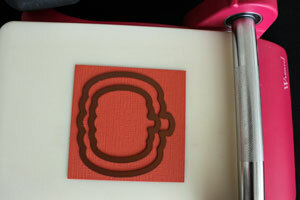 Use die templates to cut a frame out of cardstock. 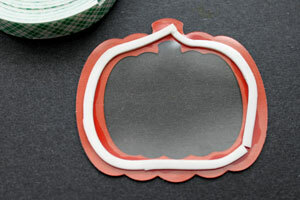 You can also use punches or a paper cutter to create a frame. 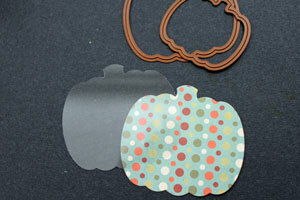 Use the larger die to cut the acetate and patterned paper to the same size as the frame. Sponge or stamp the frame if needed. Apply strong adhesive to the back of the frame. Place acetate over your frame. Let dry. 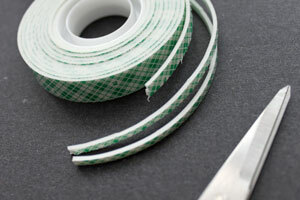 Cut the mounting tape into thin strips. 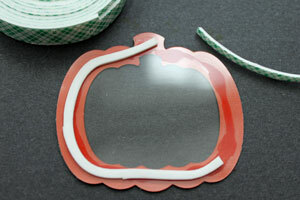 Create a frame with the mounting tape strips. Make sure you leave no gaps between the strips where your shaker card "filling" might escape through. The mounting tape is flexible and easy to form into shape if you take the paper backing off before adhering it to your frame. 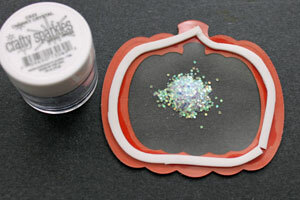 Add glitter or other filling carefully to the shaker card frame. If you need a higher frame for your filling because of the filling thickness, add another layer of mounting tape over this one. Line patterned paper up face down over your frame. Press down. 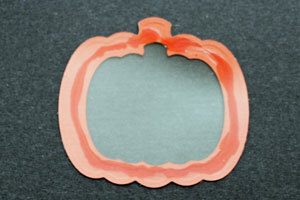 Try using your coluzzle to make round and oval windows. Use punches to create a differently-shaped window. Find or purchase templates to make shaker boxes. Try doubling the mounting tape (two layers) for adding bigger shaker items. Be creative, the possibilities are endless for different shaker items to accompany your card themes! You've seen the tutorial, now you try it! We've got a section of the gallery set aside for Shaker Card. Try this technique, then upload your artwork to the gallery. Show us your creations! At last a simple way! I tried using foam core and it was a pain - now I know to use mounting tape. I was using packing tape instead of acetate and so I had to use something to counteract the sticky and then couldn't see through the box...whew...now I think I'll make one that will actually look nice. Thanks SCS! I just love this tutorial. What a great job!! Oh my gosh that is so stinkin cute!!! LOVE IT!! I need a good tutorial on using acetate paper. I took at class at Archiver's and now I want and need more. Could someone direct me where to search of perhaps one of you who have used acetate paper could send me a little tutorial on it. Thanks bunches. I've made some shaker cards using the plastic bubble packaging that so many things (including scrapbooking supplies) come in. If you buy something in a plastic bubble that's stapled or glued to a cardboard backing make sure you open it carefully and keep hold of the plastic for mounting onto your card later. 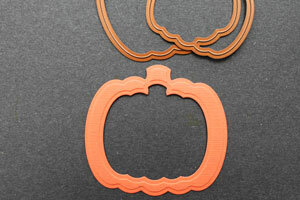 The plastic comes in all shapes and sizes and lets you get really creative with what you use for your shaker material. thanks for this...you made something that may seem like a lot of work into something easy and fairly quick! Great job!! Wow what a cool technique and kids of all ages will love this. I am learning lots for all your tutorials and blog. Keep up the good work! Love your design and directions. My problem has been the fill sticks to the mounting tape. Any suggestions? 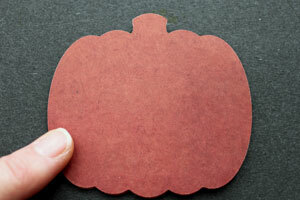 To prevent the filler in your shaker cards from sticking to the sides of the mounting tape, just run your embossing buddy along the sides of the tape. The powder makes the sides of the tape "unsticky". Thanks for the step-by-step! You've made it look so simple. Lovely card and very clear video tutorial. 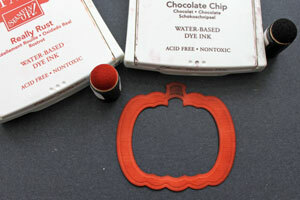 I am sooo loving your pumpkin shaker card, Beate!! Fabulous tutorial too!! Thank you!! (I need to add these dies to my ever-growing list). 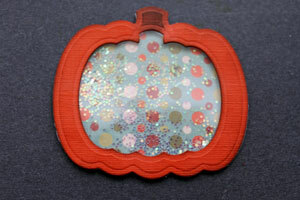 I love this idea, but I ran into the problem of the glitter because of static sticking to the acetate. Any suggestions?? 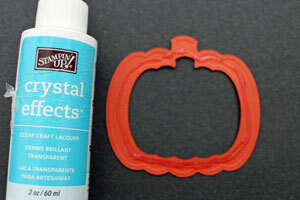 Angie, Try rubbing your embossing buddy over the acetate before adding fine glitter. 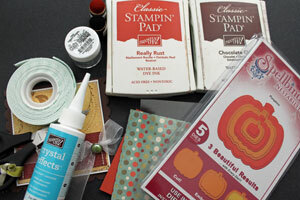 If you don't have an embossing buddy, try a dryer sheet. Hi thanks for the tutorial... I finally made a card with your help. Has anyone been successful using their SU 2 1/2 punch with acetate paper? My punch jams up; I think the acetate is too thin. Love making shaker cards! I found an unused dryer sheet is great for wiping off the plastic to keep the shakers from clinging to it. I use purchased shaker pouches but it should work on any plastic. Hi kkmack - we didn't use bubble wrap for this technique - do you know where you saw that being used? I've never seen that so if you have a link, let us know! Beate is a housewife and SCS team member. She lives with her husband and three children in Edmond, OK.